When I was three, I got a dollhouse for Christmas, built by my talented Papa (he went on to make grandfather clocks and I’m honored to have one in my dining room.) I was so excited; it was a memory I’ll never forget. 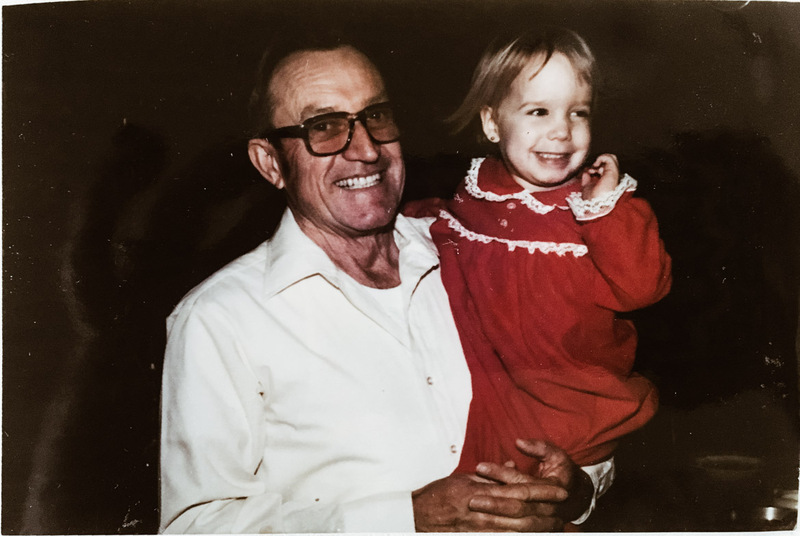 As I got older, I remember decorating the walls inside with wrapping paper for wallpaper, and placing the delicate furniture my grandmother got me in the different rooms. I’m grateful for my thoughtful parents who carefully saved this dollhouse that is now sitting in Sienna’s room here in Portland (all the way from Arkansas via a stint in Nashville), and I’m so glad we lugged that around all these years. The coolest part? My papa painted the house yellow with white trim all those years ago…the exact colors of our current house in Portland. (Cue all the tears). I know not everyone can have a talented Papa around to make a custom dollhouse, but I’ve found some seriously cute, high-quality options that will bring years of joy for your little. Why gender-neutral? Well…for two reasons: First, here at TME we strongly believe in moving past old, limiting stereotypes and embracing the child you have, whatever that may mean, and….as it turns out, non-gender specific dollhouses are less-gimmicky, more décor-friendly dollhouses, too. The simpler designs allow for kiddos’ imaginations to run wild and give us mamas who enjoy a peaceful looking home a great option we don’t have to relegate to the toy closet. When on the hunt for these little houses, the designer in me was tempted to only choose the natural wooden ones, but I did find some cute, colorful wooden houses, too. Check out the fun options I found below. Melissa & Doug Fold N Go – This one is so adorable and portable, so you can easily move it around the house. Love that option! It’s also an overall smaller profile which is nice. Plan Terrace Dollhouse with furniture (2 rooms) – I’ve always wanted a house with a terrace and an open feel, but I think I’d skip out on the blue roof. Plan Toys make really quality toys for kiddos. I love the accessibility of this design for multiple kiddo play. Plan Toys Green Dollhouse (on sale here!) – OMG. Can I please live here? This one is selling out and I think you can see why. Adorable, modern and seriously eco-friendly. This one includes a wind turbine, solar cell panel, rain barrel, biofacade and furniture. My move-in date TBD. 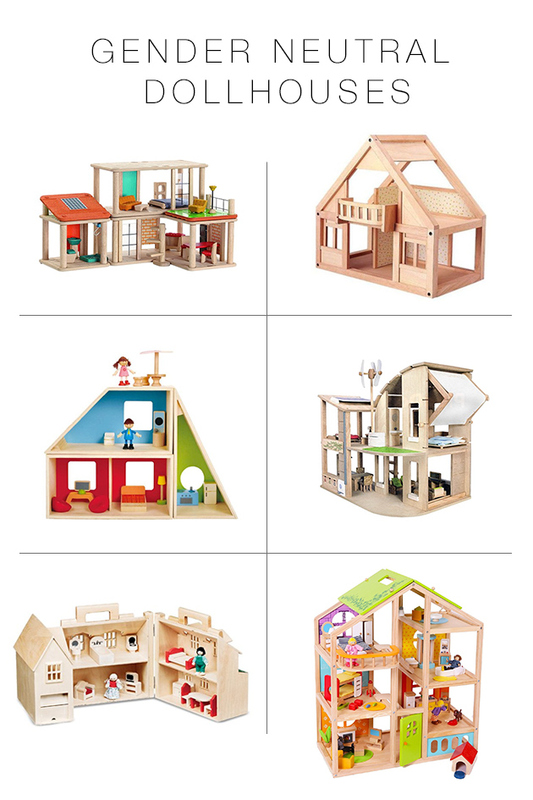 Plan Toys My First Dollhouse – This is another great sturdy, last-forever option. It’s larger than it seems here at 25″ high and 23″ long. Plenty of room for play on this one. There’s a tiny floral spring wallpaper on the walls but it looks very subtle in the photos and retro. I love the natural wood tones of this one and how open it is for an A-frame. It also gets ‘easy to assemble’ and ‘sturdy’ reviews. Small World Toys Ryan’s Room Home Again Home Again – This is probably my favorite of the dollhouses for younger kiddos. This one is so adorable with two rows of little flowers on the balcony. It also has a top handle making it easy for kiddos to carry. You can add on a Relaxing Style Living Room Furniture Set (rather than the non-relaxing living room?) 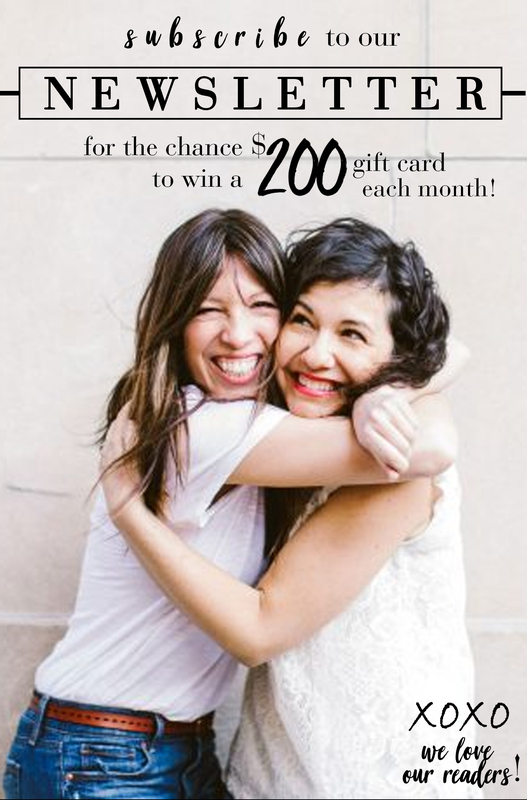 and family sets in Asian, Hispanic, African-American and Caucasian options. Super cute. Melissa and Doug Hi-Rise – This Melissa & Doug house comes with 15 pieces of furniture and has a working garage and elevator! Whoa. I love the checkered floor in the entryway, too. If you’re looking for a colorful option, this one is on sale for almost half off right now. We have quite a few Melissa and Doug products and I’ve always been happy with the quality. Plan Toys Chalet – This chalet style comes in two pieces so kids can rearrange the layout. 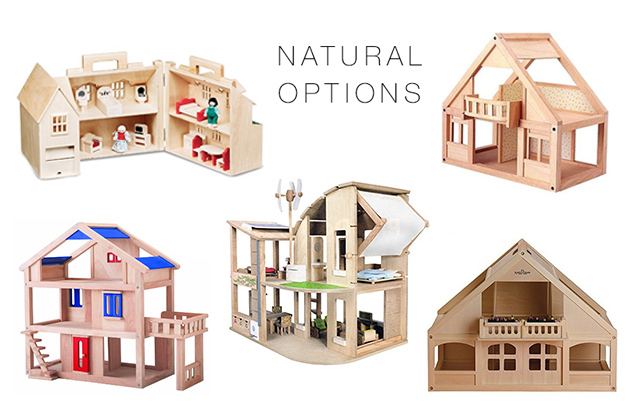 Plan Toys uses non-toxic, organic products like rubber wood in their dollhouses. Serious thumbs up for that. This is one of the largest houses at a whopping 23″x 14″ x 30″…SO much room for play in a super cool modern style. I adore this color way and the style of this one, but it’s selling out quickly. It also comes in a slightly different version with furniture included. Plan Toys Creative Play – This adorable house is a great smaller size but in a cute modern design. It has 3 units that can be arranged in over 10 different ways. It features 1 movable staircase, 2 solar cell roofs that can flip and create into a garden, 6 movable decoration walls, 2 glass fences and sets of modern furniture for the bedroom, a living room, a bathroom, kitchen and dining room. (Includes total of 28 pieces) SO cute, and a great choice for a compact option. Abigail Dollhouse with furniture – This one is one of the brightest color-wise and includes, check it, 54 pieces of furniture, 4 dolls and a pet dog (because, of course!) It has moveable stairs and a handle on top for easy carry. This definitely has the most bang for your buck if you’re cool with the color. Have you started on your holiday shopping yet? I keep thinking I’m close and then realize the list keeps growing. We’re trying to focus on the ‘something you want, something you need, something to wear, something to read’ formula for our immediate family this year. It helps to approach it that way, but I’ll admit it is tough to stick to a plan when you get tempted by all the fun stuff. P.S. Head over to our full page of 2018 holiday gift guides for more seriously cool gift ideas for all your loved ones (or whomever). Be sure to follow me on Instagram @elletrain to see daily outfits, what I’m currently whipping up in the kitchen, and of course, Sienna’s dance moves. 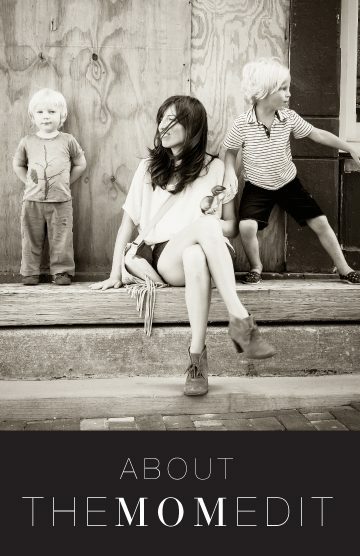 And don’t forget about LikeToKnow.It for easy peasy shopping of the looks I’m wearing! Santa gave our four year old son a dollhouse two years ago. About a week before Christmas, “Santa” spent two hours putting together over 100 pieces. The next day when my son told my father he asked Santa for a dollhouse, my father’s response was, “But dollhouses are for girls”. Needless to say, Santa was PISSED, ripped into my father via text, my father had to do some serious damage control. Ultimately, he was successful in getting my son excited about the idea of a dollhouse and he still plays with it. BUT I’m glad to see the selection is better than it was two years ago. My son’s house has a couple purple and pink walls, but he doesn’t seem to mind. My 4 year old son has been asking for a doll house! These are perfect. My only hesitation is that I don’t really want a huge thing sitting out all the time…. I may just have to get over that. Thank you for the gender neutral slant! My son has a lot of traditional girl preferences (including wearing dresses) that some people balk at. It’s nice to see some mainstream content reflecting my unique and perfect son. I have 2 boys and struggled to get them things like play kitchens and doll houses that didn’t look like Barbie threw them up. I got my younger son a Playmobil house and it’s great. The pieces are very, very small, though, so I wouldn’t get it for a kid younger than 4. We have a Calico Critter house, both my son and daughter LOVE it, and pretty much all children who come over play with it. I can’t find a link to the one we have (it’s about 3 years old) but I seem to remember they have a variety of them. If you don’t know Calico Critters, look them up- adorable animal families. 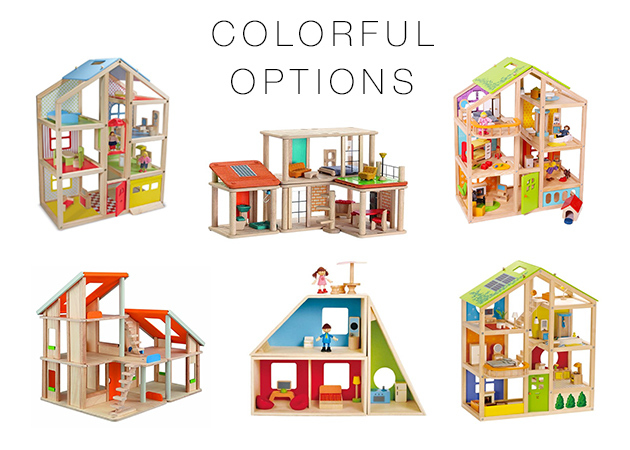 I wanted to get my 2-year-old daughter a big, gender-neutral, wooden, Waldorf style dollhouse for Christmas this year, so I have been nerding over these choices for months! I went with the unfurnished Hape All Seasons based on the reviews and I can’t wait to put it together. I’ve gotten a few things from Manzanita in the past, including the modular dollhouse. Great design and workmanship. Highly recommend too!!! Oh my goodness!! I never thought of a doll house for Elliott, but now I want to add it to his Christmas list! Thanks so much for the info!! Last year we got our then 3 year old son a dollhouse (Melissa and Doug) for Christmas after he asked for one (complete with a baby blue convertible car). It has held up well and is super cute. He find that he mostly plays with it with others and it get more use as “hot wheel” house. The play kitchen we bought him the same year was a near bust, but again gets lots of use during play dates. I think kids have to be into a certain kind of imaginary play to get daily use out of a doll house, and since it is SO big…I don’t think it is a must for every kid. Great choices though. Totally. My daughter definitely plays with her dollhouse and kitchen more when friends visit. But so great for imaginary play! We just got a dollhouse for our turning 3 this month birthday girl. We have 2 girls, but still went with a big gender neutral kid kraft one. The idea behind the big all sided one was that multiple kids could play at once and it could accommodate up to Barbie size dolls for more years of play. Our play kitchen from last year still gets regular use, so looking forward to this one getting several years of good use too. These are so great that they are gender neutral, big and open, for lots of kid play.